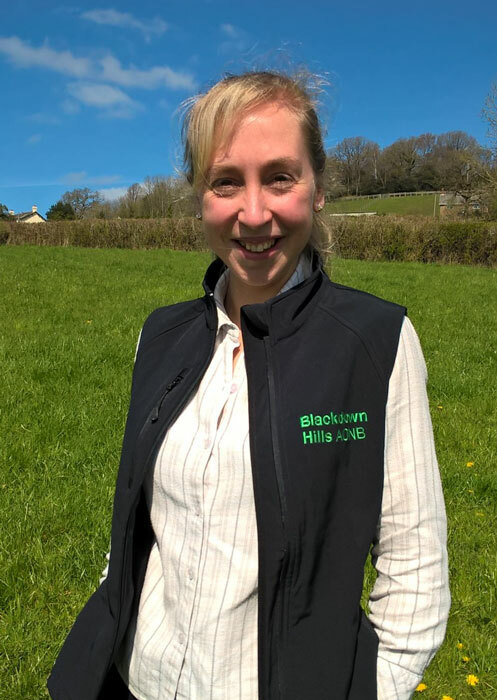 The Blackdown Hills AONB has welcomed a new volunteer co-ordinator to its team for a day each week. Sammy Fraser will be working across Somerset’s three Areas of Outstanding Natural Beauty, developing opportunities for volunteers to get involved with conserving and enhancing these special landscapes. Her role will be to identify opportunities and training for volunteers, to generate interest in volunteering in the Blackdown Hills AONB, and to cultivate lasting links between local groups looking for volunteer support and people looking for volunteering opportunities. “Volunteering is such a great thing for people to do, especially in such beautiful areas. We know that providing opportunities for people to volunteer can improve their mental and physical wellbeing and, at the same time, improve wildlife habitats and access for visitors.” Sammy said. This is a great example of the three AONBs in Somerset working together for the environment and for the community. That said, as the Blackdown Hills AONB spans both Devon and Somerset, Sammy’s remit locally will extend a little into Devon. Sammy is originally from Devon, growing up on Dartmoor near Tavistock, but has travelled around the UK for work. Her first conservation job was working for six months as a ranger at the Bird Observatory on Fair Isle (between Shetland and Orkney), experiencing some amazing wildlife in a very remote location. She has since worked for the RSPB in both Norfolk and Suffolk. Sammy worked with local communities in the Brecks in Norfolk to raise the profile of the area’s wildlife and heritage, while running events and providing volunteering opportunities. More recently, Sammy worked with visitors and volunteers on reserves in the Exe Estuary, Labrador Bay and Aylesbeare in Devon. She has now moved to Taunton, so if you are in the area please do come and say hello! Would you like to volunteer in the Blackdown Hills Area of Outstanding Natural Beauty? Contact Sammy to find out more about volunteering.